In her husband’s crusades, Ruth Bell Graham preferred a seat in the crowd to a place on the podium. Her husband famously preached that a woman’s place was in the home. But back in the mountains of western North Carolina, Ruth Graham was making her own decisions and crafting her own life. Ruth Bell was, of course, born in China, the high-spirited second daughter of Presbyterian medical missionary parents Nelson and Virginia Bell. She was born in 1920, the year of the monkey, which, “according to Asian astrologers, spawned multitalented, adventurous, and witty people” (23). She was all that and more. Cornwell’s literary gifts are definitely matched by her subject’s fascinating and surprising life. Ruth’s Chinese childhood springs vividly to life in Cornwell’s retelling, as does the family’s harrowing hardships during the political and military turmoil of Nationalist uprising and Japanese invasion. 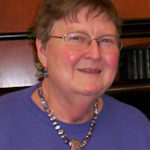 As a Wheaton graduate who lived in the same dormitory where Ruth Bell spent her freshman year two decades before, I was surprised to learn that she was indefinitely campused during her first semester for repeated violations of curfew. She continued to be a free spirit even after she met and married that Graham boy from Charlotte, NC. But then you know his story. Unless you’ve read this book, you don’t know hers. Cornwell is a superb writer. She knew her subject very well, had access to intimate sources, and did her research. This is definitely a page-turner, the perfect book for a summer vacation or a cold winter evening, a great gift for yourself or for a friend you want to inspire. 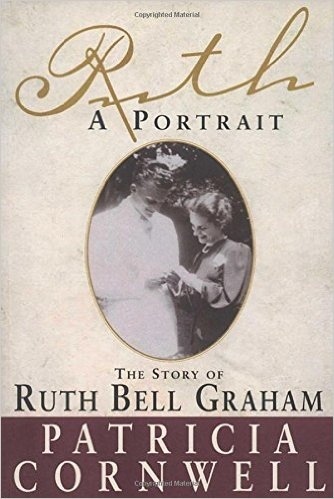 Ruth Bell Graham was an amazing woman – her own person and God’s servant.